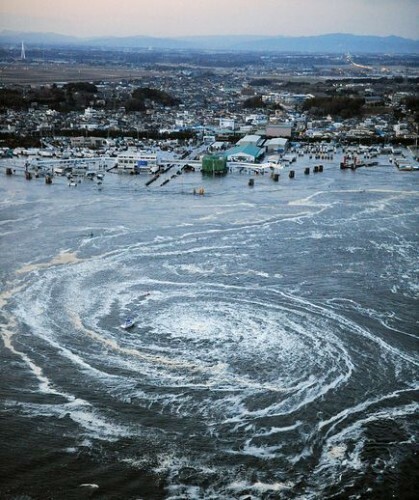 As most people know, Japan is still dealing with the aftermath of a record breaking earthquake/tsunami duo. People and companies around the world are looking for ways to help in the relief efforts and are using different sources to donate money. However, in the latest article from Mashable.com, two companies that most everyone is familiar with are under fire for using donation efforts as a marketing ploy for their companies – Microsoft and Apple. Seems harmless on the surface but there was a huge uproar against Microsoft for making people retweet, and essentially market Bing, in order to raise funds for Japan. Eventually, Microsoft withdrew the “retweeting” deal and simply donated the $100,000. Similarly, Apple set up an area in its iTunes store where people can donate anywhere from $5 to $200 to the relief efforts in Japan. The icon for the donation is located among the others for music but it’s easy to spot the Red Cross among all of the album covers on the home page. It’s debatable whether this was a convenient place for Apple to help in the donation efforts or if it was because they wanted people to impulsively buy a song or two while they were in the iTunes store. What do you think? Were their attempts innocent, strategic or inappropriate? For easy ways to help in the relief efforts, please see this article on Mashable.com for seven digital ways to help the victims in Japan. For Apple, they probably want you using the iTunes Store because once you are logged in, they’ve got your billing info, so there’s no worry about needed to enter credit card info, fill out forms, etc. It’s easy access to your money for them. I think they are both poor choices. I’ve seen some little companies doing this B.S. on Twitter and thought… how distasteful. Apple should either make a dedicated page/experience or keep it out of iTunes. A half-assed execution isn’t their style. They are an awesome development house and could have busted out a dedicated campaign.